At the unveiling of the new Kilopower system, Jim Ryder, NASA’s head of space technology, laid out why it’s needed. “When we go to the moon and eventually on to Mars, we’re likely to need large power sources not dependent on the sun,” Ryder says. “This is the first new reactor, not just for space, not just for NASA, of any kind in the U.S. in 40 years,” Poston says. 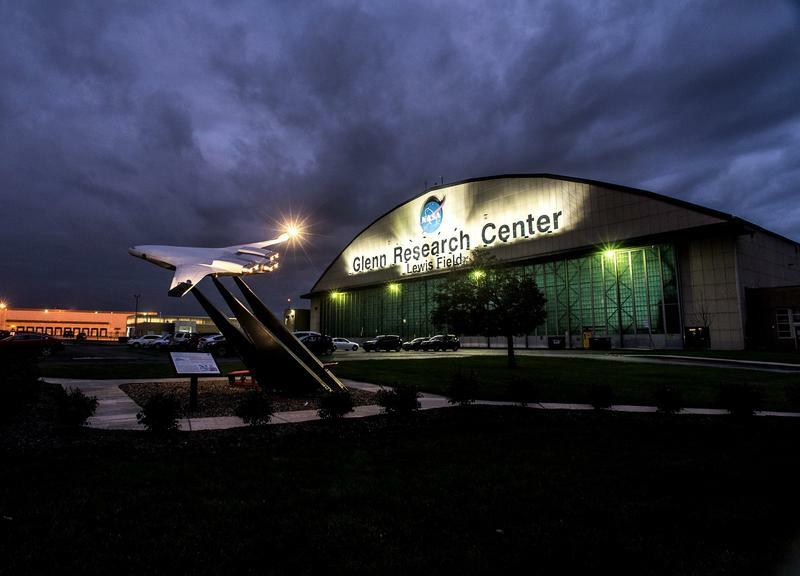 Down in the lab at NASA Glenn, Poston glows over the Kilopower prototype like a proud father. A Kilopower mock-up resembles a round pedestal table, about 5 feet tall, almost like something you might find at IKEA. The uranium reactor rests at the bottom of the leg; liquid sodium heat pipes and power convertors reach up to support a circular cooling fan. It's compact. A 1-kilowatt Kilopower unit weighs around 900 pounds, while a larger 10-kilowatt system would weigh around 3,300 pounds. The cooling fan folds up like an umbrella for ease of shipment. 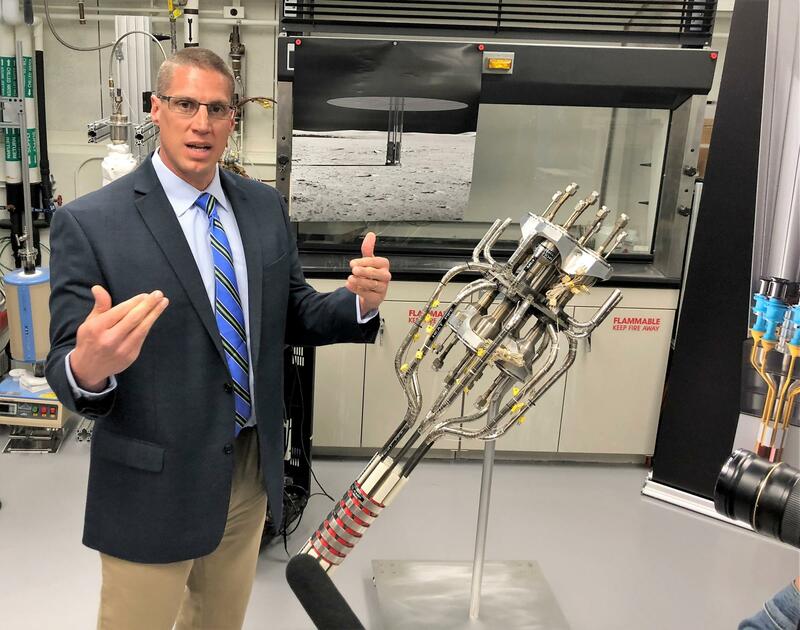 NASA Glenn engineer Marc Gibson explains how the heat from the reactor at the base of the unit is transferred to Stirling converters at the top through liquid sodium-filled heat pipes. Kilopower was developed through a series of experiments whose names contrast the normally no-nonsense NASA ethos. It turns out these guys are huge Simpsons fans, which makes sense, since Homer Simpson works in a nuclear plant. The KRUSTy experiment, or “Kilowatt Reactor Using Stirling Technology,” is a tongue-in-cheek reference to the show’s chain-smoking Krusty the Clown. 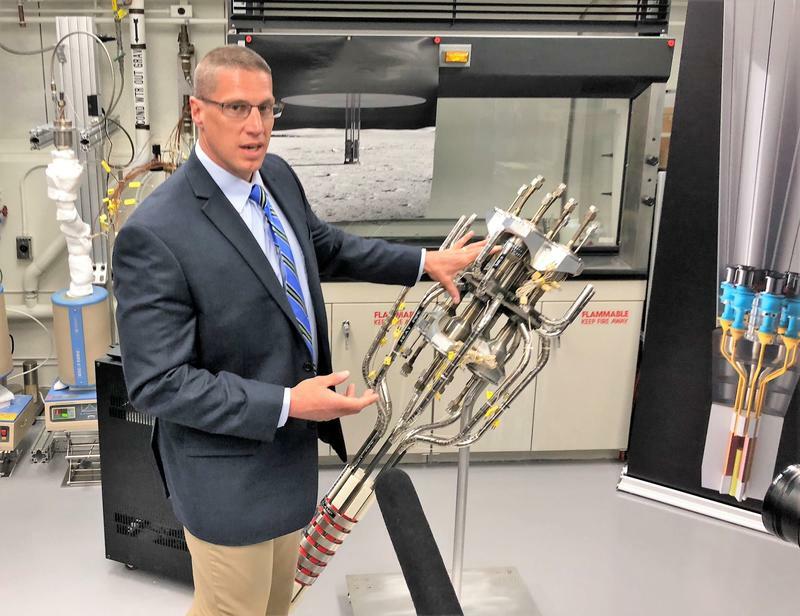 "Duff actually convinced NASA and gave them enough confidence that we could do the more expensive Krusty experiment and we actually had a chance of success,” McClure says. Like in Homer Simpson’s plant, the Kilopower unit runs on nuclear fission. That’s a nuclear reaction where a Uranium atom splits in two, creating a chain reaction and plenty of heat. The coffee can-sized uranium core at the bottom of the Kilopower unit operates at a steady 1,500 degrees Fahrenheit. That heat is used to create electricity using a device invented more than 200 years ago that sits on top of the reactor. 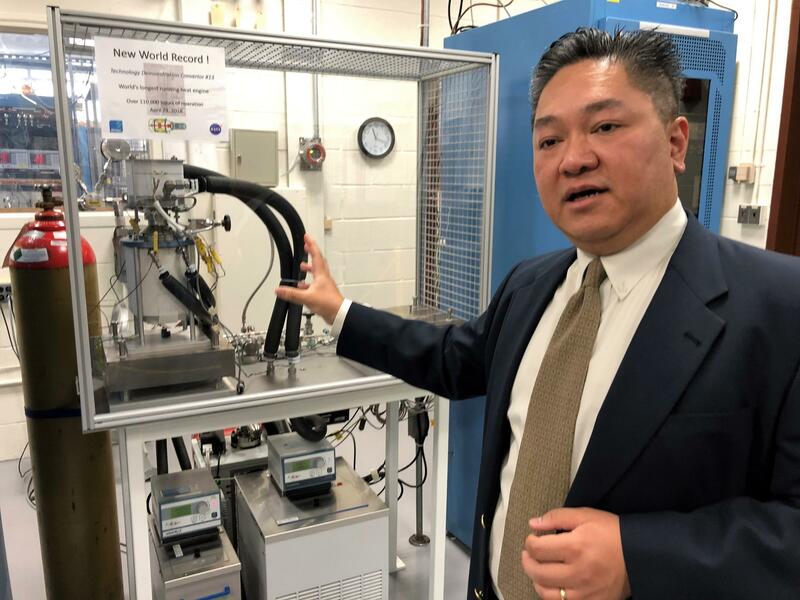 “The Stirling converter is basically a heat engine, it converts heat energy into electrical power," says NASA engineer Wayne Wong, who runs the Stirling research lab. 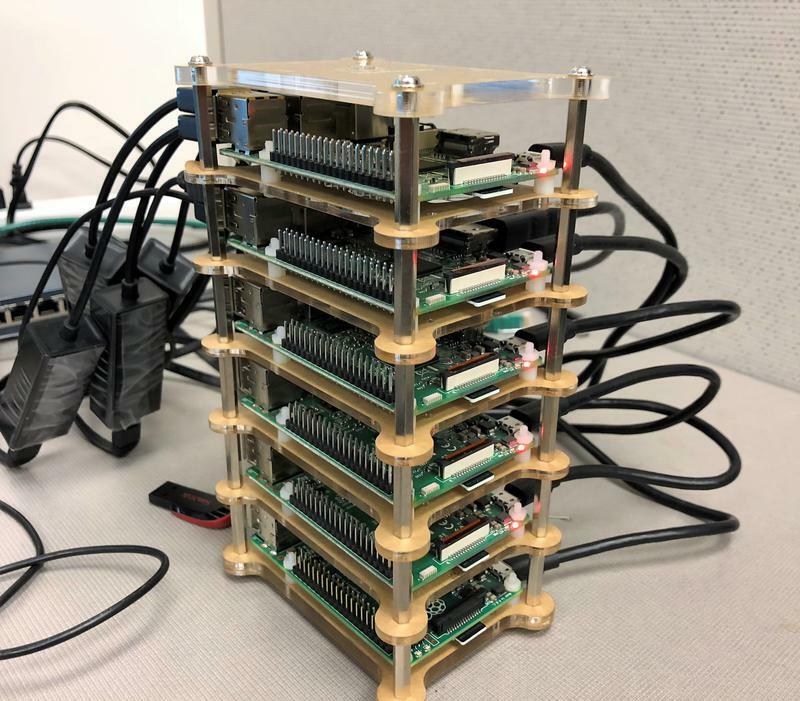 Wong points to a unit inside a glass case that he says has been running continuously for over 110,000 hours, "which as far as we know is a world record." "That's 12.5 years," he says. 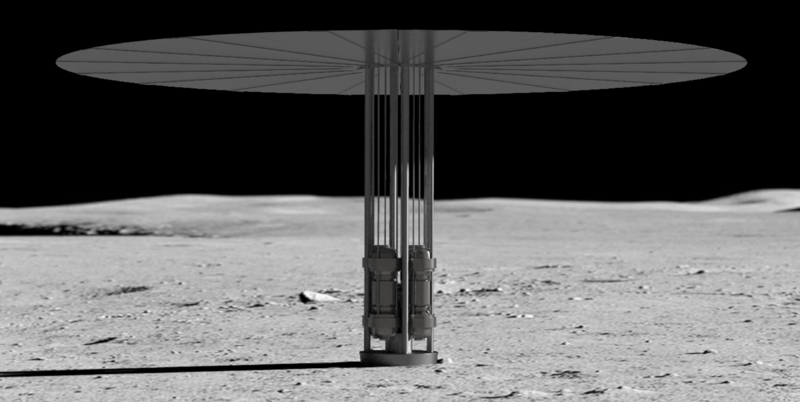 NASA's David Poston says the Kilopower system is the first time a Stirling engine has been placed on a nuclear reactor. The design provides the kind of durability needed when planning a moon station, where it’s dark half the time, or a mission to Mars, where dust storms can obliterate the sunshine for weeks at a time, making solar power less reliable. 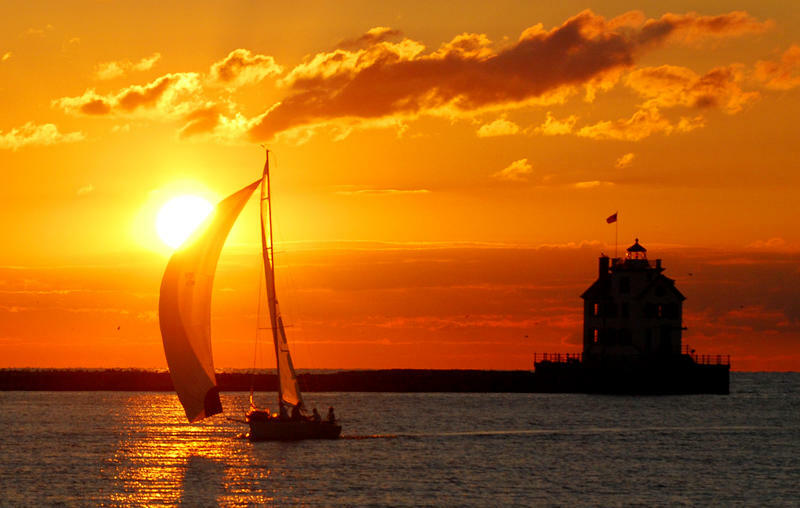 And all this space research comes as operators are decommissioning Ohio’s two nuclear plants. In fact, no new large scale plants have been built in the U.S. in 30 years, although some smaller units may be developed.